Heroes can access additional savings on their home repairs with Roof Teks. Roof Teks is proud to be partnering with the Homes for Heroes program to thank Heroes by offering a 7% discount to Heroes. 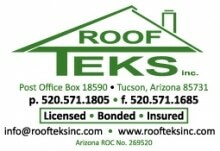 Click on the link below to visit the Roof Teks' website.